When Panus Semi-Trailers introduced its Retractable Skel to the Australian market, it didn’t take long for the model to get noticed around the Melbourne wharf precinct. In fact, the Company’s plan to display and demonstrate the model with various clients was thrown out the window when the third client to trial it, Sidelink Transport, decided that the model and specification was as good as any other trailer model they had seen so they decided to purchase it. 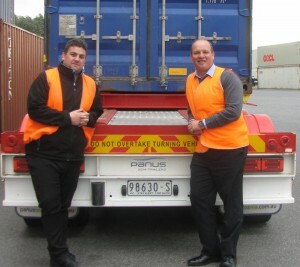 Whilst the sale forced Panus Semi-Trailers to reconfigure their Retractable trial program, the fact that a client they had known for only a short period placed such trust in the brand, was a glowing endorsement for the work CEO Rod Cunningham and Sales/Marketing Manager Joe Horvat has put into the Company thus far. And in 2016, it seems the Retractable Skel model has become a bit of a flavour amongst transport fleets. The flexibility and convenience of the model to fully extend to carry 1 x 40ft or 2 x 20ft containers and then retract to manoeuver single 20ft boxes efficiently suggests many operators are looking for total flexibility from their trailers. This was the case for Rick Verdino and his nephew Rob Verdino of Sidelink Transport. Established in 2007 with a single Side-Loader, the transport company has since grown to 11 Side-Loaders, 5 Skels and 3 B-Double combinations. 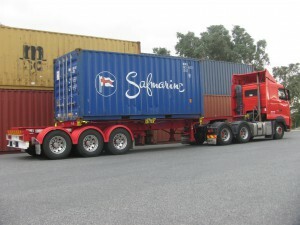 “We use a range of Skels to cart containers, from Side-Loaders to standard sized 40ft Skels, but what we find with the retractable is because we mainly service the Melbourne metro area, it gives us options to help more clients who require us to transport all container sizes, in particular their heavy 20ft containers. It ensures we comply with current road regulations and the 3 stage sliding mechanism gives us the added bonus of easily navigating tricky areas where we need to use a retracted trailer to move 20ft boxes around,” Rob, the Company’s Transport Manager explained. 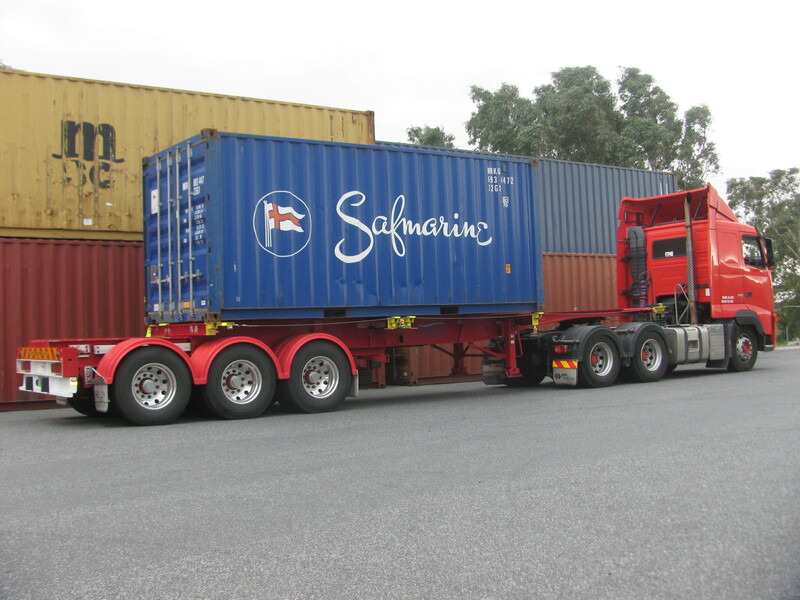 Sidelink Transport now has multiple Panus semi-trailers running in as part of their fleet which have certainly being noticed by other container transport fleets. With the brand profile of Panus rising every week now, the Company is putting the finishing touches to the roll out program for the Retractable Skels which are available for order now.